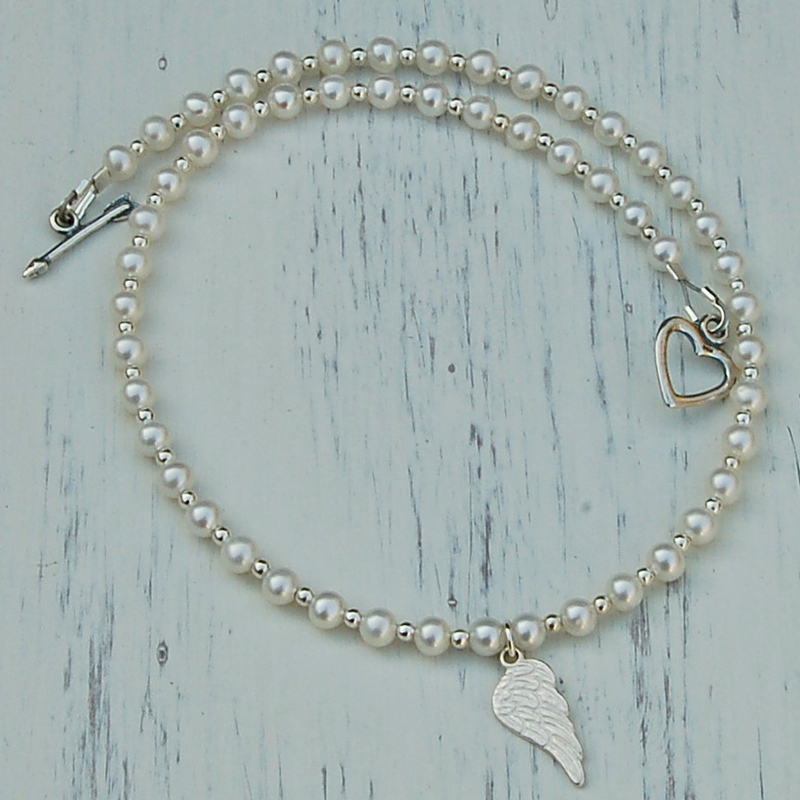 Gorgeous girl's angel wing and pearl necklace, This luxury pearl necklace would grace any girl/teenagers special day. This beautiful necklace is for girls who like to dress up like princesses with all the glitz and glamour. 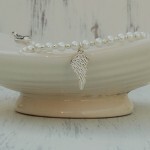 This necklace oozes class and would make a lovely birthday present or could be for other ocassions such as proms, weddings, or even just as a luxury gift for a daughter. 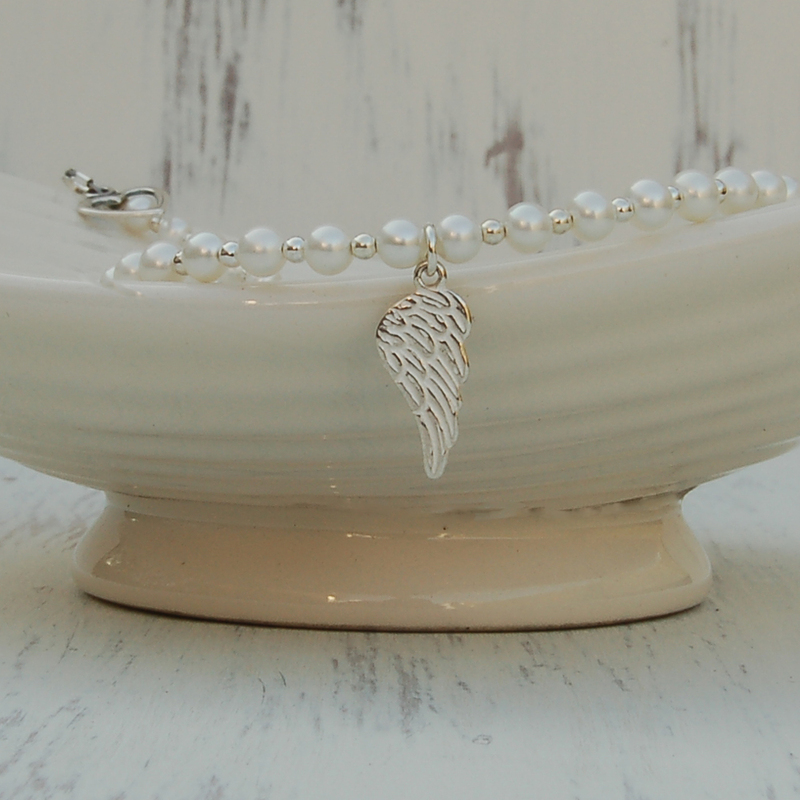 Here at IndiviJewels we design and make all our own jewellery in our workshop so if you would like a custom design or a little change on this necklace then please just contact us and we will see what we can do for you. 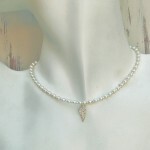 This necklace is made with AA grade freshwater white pearls that have a stunning luster and measure 4mm. 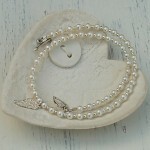 In between the pearls we have used sterling silver balls which give it a classy look to it. 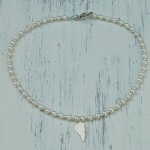 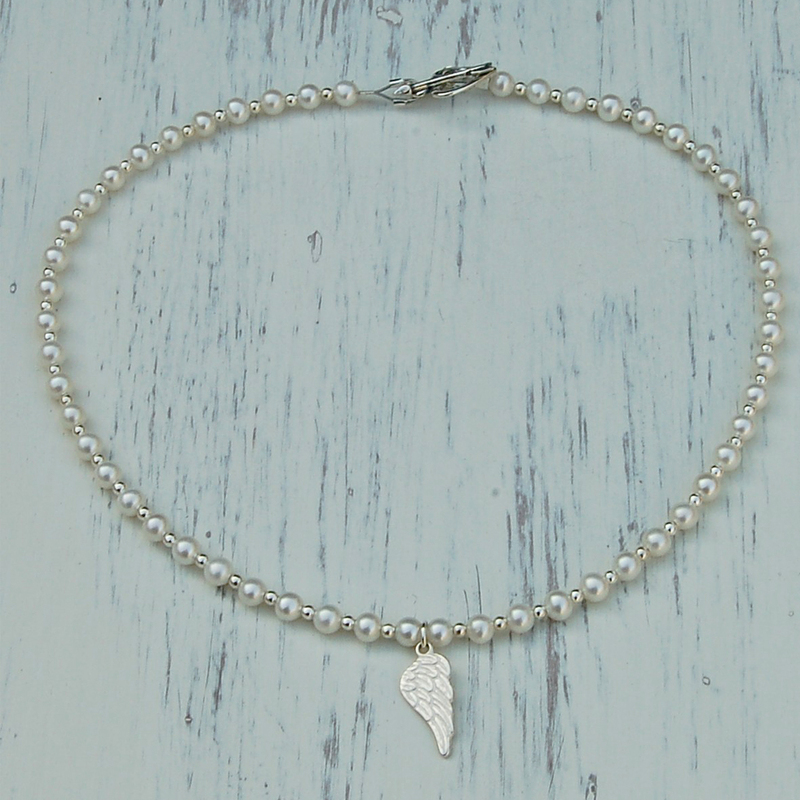 We have a sterling silver double sided Angel wing charm as the focal point of this necklace and finally the clasp is a lovely sterling silver arrow and open heart which just completes this elegant girls necklace. 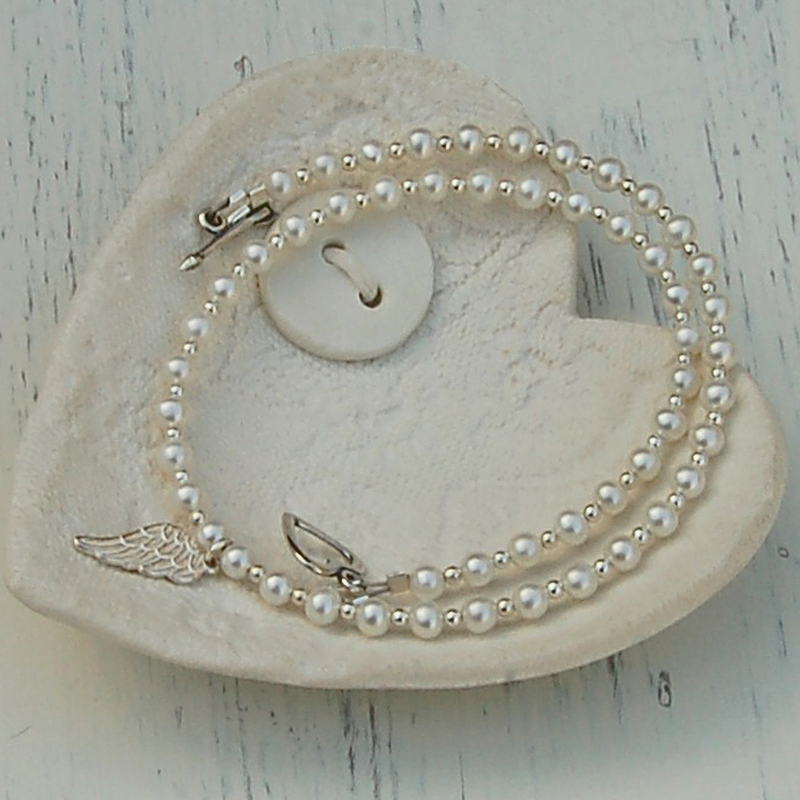 The sterling silver angel wing measures 20mm from the top of the jump ring to the tip of the wing and is 7mm at its widest part. The thickness is 1mm.